What would the United States look like if every American were a runner? Mizuno asked the UNC Kenan-Flagler Business School to find out. Courtesy of Mizuno If every American were a runner, we would drink 135 million more victory beers, according to a report from the UNC Kenan-Flagler Business School. Runners are a special breed of people. They endure early mornings, bad weather, sore joints, and many lonely miles of pavement—for what? To lose weight? To feel healthier? Any runner would tell you the health aspect is only the beginning. But how do you explain the benefits of running in a way that isn’t boring or preachy? Mizuno Running came up with an idea: instead of showing how one person could benefit from running, show how an entire population could benefit. It was a bold, new concept and would require a vast amount of research and analysis. Mizuno’s advertising agency knew it didn’t have the resources for that kind of project, so it contacted the UNC Kenan-Flagler Business School. Schinelli suggested that Mizuno might be interested in using the STAR program to develop its idea. But Mizuno’s timeline didn’t allow for a semester—the company wanted results within one month. One month? No problem. Schinelli went straight to work recruiting a team of MBA students. Over twenty applied, and four second-year students were selected. While they had diverse backgrounds and varied specialties, Schinelli says they all had one thing in common. The front end of the project involved hundreds of hours of research. The group broke the data into two categories: the health implications and social implications if an entire population took up running. The students gathered a massive amount of information, then analyzed the numbers for the findings that would have the biggest impact for society as a whole. And what did they find? If everyone in the United States were a runner, we would save up to $143 billion in health-care costs, and our GDP would increase by $25 billion. Americans would be healthier, smarter, richer, and more fun. 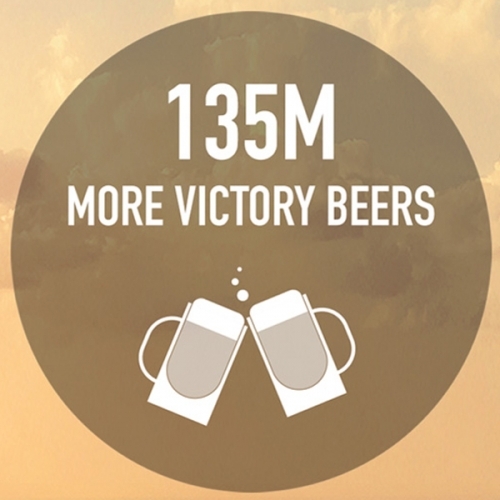 We would spend 7 billion more hours outside and drink 135 million more victory beers. If all the dog owners in the country started taking their dogs running, we’d have 63 million happier dogs. Schinelli says all of the findings, including the more lighthearted ones, are based on peer-reviewed scientific studies. Kane says her favorite statistic from the project is that our country would have 20 million more great-grandmothers. “Obviously it points to life expectancy, and that was where we started with that statistic,” she says. An important part of the project, however, was giving numbers meaning by moving away from statistical jargon. “If you just talk about life expectancy, it sounds impersonal. But if you put it in the context of your grandparents, or great-grandparents, you’re reminded of what’s most important about living a longer, healthier life,” Kane says. Michael Schinelli is the chief marketing officer at the UNC Kenan-Flagler Business School. Ellen Kane, Deepak Gopalakrishna, Jessica Newfield, and Chris Campbell conducted the research for the project, and worked with McKinney to produce the final numbers for the marketing campaign.